Please welcome Terry Newman to The Qwillery as part of the 2014 Debut Author Challenge Interviews. 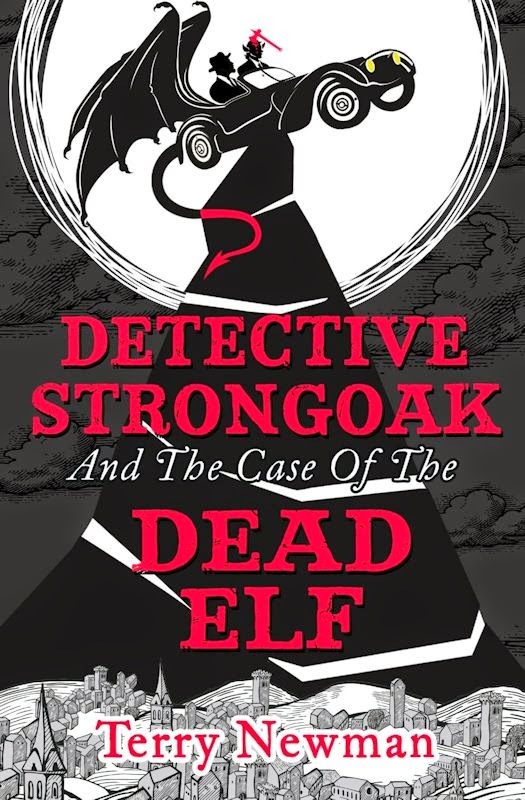 Detective Strongoak and the Case of the Dead Elf was published on December 18th by Harper Voyager. TQ: Welcome to The Qwillery. You've written for film, TV and radio and more. How does all that influence (or not) your novel writing? Terry: Thank you very much for the invitation, Sally. And can I just say that I love what you’ve done with the place. I’ve never seen so many swan feathers in one place. That’s a very good question and I should probably explain that the only reason I initially pursued writing for radio and stage, then TV and film, was to get some contacts to help find a home for my book. I blush at my naivety, but I sort of assumed all these people lived in the same world – one that was just labelled ‘non-scientists’. Of course, the ‘other writing’ then became more important after I hung up my microscope and this definitely fed back into the novel writing. I’d have to single out radio and TV comedy writing as having the most influence, mostly because this craft teaches you about word economy – make each one count if you can. Terry: I do a lot of scriptwriting and a lot of good scriptwriting is about structure. Maybe it’s my science training but that side of it does really appeal. However, when it comes to book writing, part of the joy is the freedom to be led by your characters, so I enjoy the pantsing side there enormously. I guess I always know where I am going though, which would make me a pretty pantsy plotter. Terry: Stopping. Stopping is very tricky. I usually take the bruised fingertips and the bleeding eyes as a hint; otherwise I might overdo it. Actually I can write anywhere, trains, buses, you name it. I always carry a notebook – you have to don’t you? However, my writing is appalling and my typing is poor too. I would never have got anywhere without the Word Processor. Let us praise the Word Processor and the Toshiba Libretto. Before Netbooks this little gem ran Word and was the size of large paperback book. I wrote just about everywhere on my Libretto, especially the N49. Terry: Hmm, my favourite things, eh? I feel a song coming on! TQ: Describe Detective Strongoak and the Case of the Dead Elf in 140 characters or less. Terry: Tolkien meets Chandler in a seedy underworld bar run by a defrocked Wizard. TQ: Tell us something about Detective Strongoak that is not in the book description. Terry: Nicely makes an excellent 5-egg omelette (it’s the nutmeg). The book is actually a real who-done-it so ‘No Spoilers’ please. TQ: What inspired you to write Detective Strongoak? Terry: I was broke in Hamburg without a return ticket. It focuses the mind somewhat. (Not as exciting or intriguing as it sounds). TQ: What sort of research did you do for Detective Strongoak? Terry: I read non-stop from the age of five – often when walking. I’m surprised more people don’t walk and read. Not recommended so much if you live in a big city, but anywhere with decent pavements, and not much traffic. TQ: In Detective Strongoak who was the easiest character to write and why? The hardest and why? Terry: The easiest to write was, of course, Detective Nicely Strongoak as he had been talking to me for so many years. After him all the other characters sort of did what they were told. He has that type of personality. TQ: Give us one or two of your favorite non-spoilery lines from Detective Strongoak. Terry: There is another ‘Detective Strongoak’ adventure well underway and a very different type of fantasy novel currently with Harper Voyager as well. No dwarfs or elves at all, but equally close to my heart. In a different sphere of endeavour, I am writing ‘the book’ for a musical called ‘Resurrection’ for a brilliant songwriter name of David Alter. He’s got a top show with knockout songs, full of imagination, which I believe will be an absolute winner when we find the right home. Plus, there’s a couple of sit coms written that I’m very excited about – so fingers crossed for an exciting 2015. 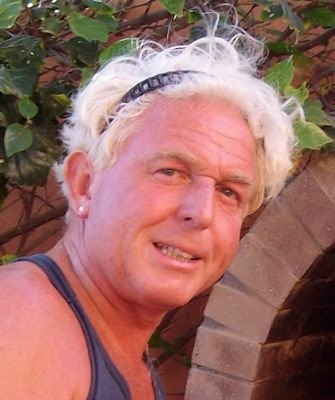 Terry: The pleasure was all mine, thank you for the invitation and the feathers. Terry Newman is a biomedical research scientist who used to spend most of his day in the dark in front of an electron microscope. Then he started writing comedy for the BBC and ended up as full time scriptwriter. Whether this represents a turning to or from the Dark Side is debatable. He has a weakness for linen suits and spotty dogs. He lives at drtel.co.uk, which is being redecorated.